Fine Arts Center Blog: Scott RC Levy Makes his Colorado Springs Acting Debut! Scott RC Levy Makes his Colorado Springs Acting Debut! 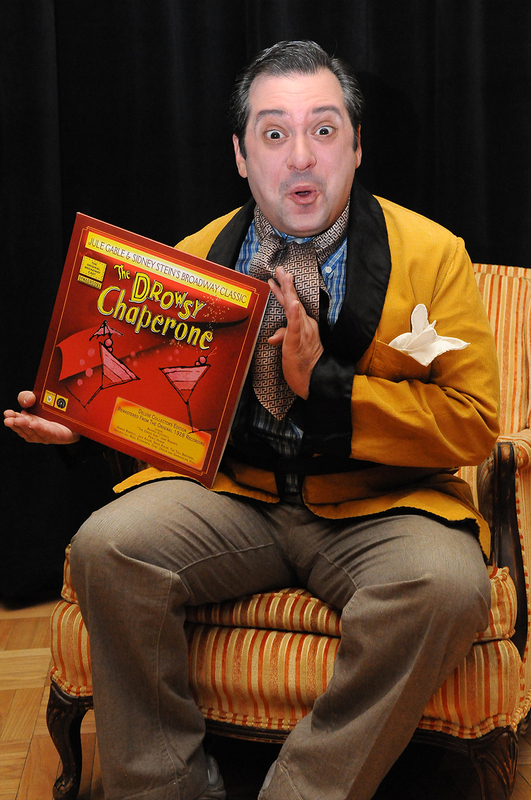 "I couldn't be more excited to be making my official Colorado acting (and singing and dancing) debut as Man in Chair in The Drowsy Chaperone,” says Scott RC Levy, the FAC’s Director of Performing Arts and Producing Artistic Director. “It is a delightful confection, a perfect musical comedy for people who like musicals, and even one for those who could care less for them." The Drowsy Chaperone is a musical-inside-a-comedy that begins with a die-hard musical-theater fan (Man in Chair) playing his favorite cast album on his turntable, and the musical literally bursts to life in his living room, telling the rambunctious tale of a brazen Broadway starlet trying to find, and keep, her true love. As a performer, Levy has appeared off and off-off Broadway, at the Edinburgh Fringe Festival and on the stage of the Globe in London, and in over 60 cities across the United States. Don't miss Levy performing in this colorful, five-time Tony Award-winning musical! Explore and Be Inspired by Art this Summer!